Update January 4, 2007 - My SDR-IQ has arrived! use made sense. 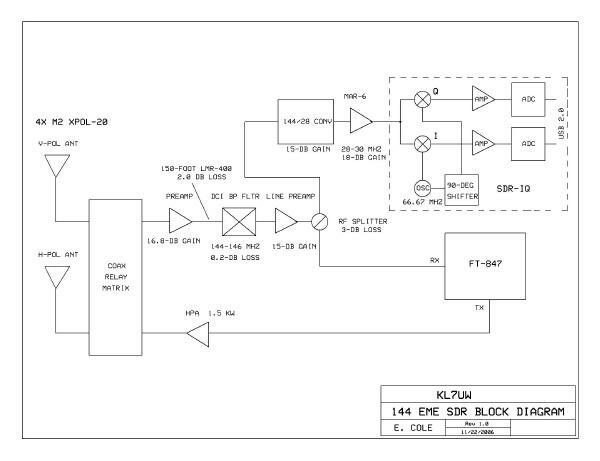 The 144/28K outputs 10mw adequate to drive most transverters. for the HF Amateur Bands", by Sergio Cartoceti, IK4AUY, QEX - Mar/Apr 2003, pp. 45-56). coax which feeds a DCI-145-2H BP filter into a MOSFET preamp and then to the FT-847. 144-146 MHz. 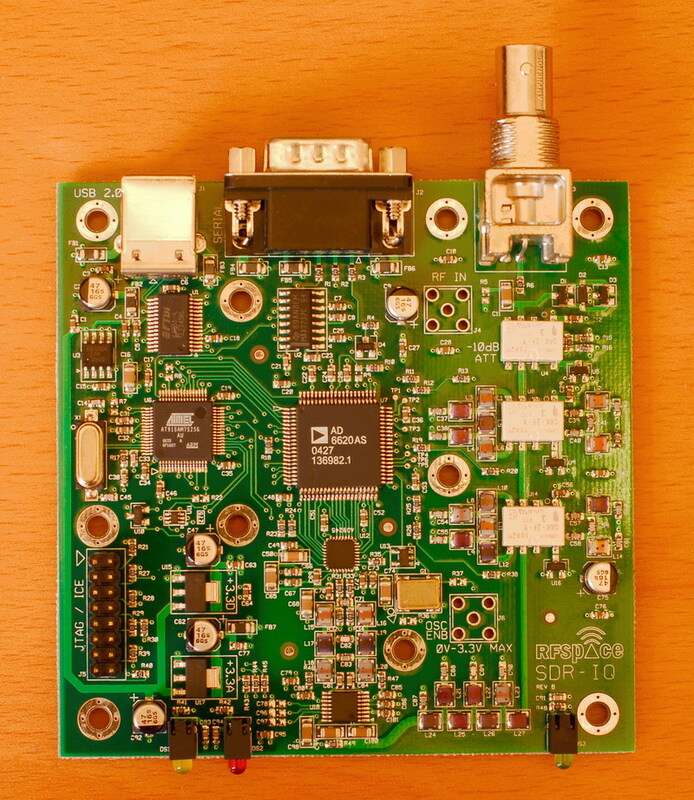 This will provide a superb asset for locating EME signals at random. 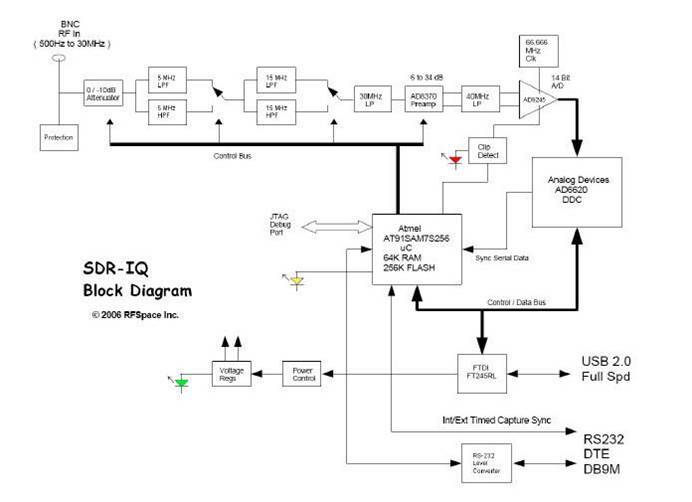 RFSpace has a functional block diagram of the SDR-IQ. 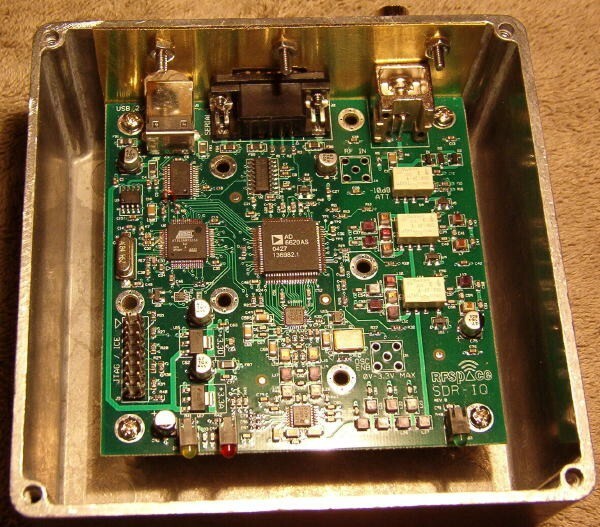 I have installed my SDR-IQ inside a Hammond diecast aluminum box (model 1590U) which is 4.7x4.7x2.17 Inches. 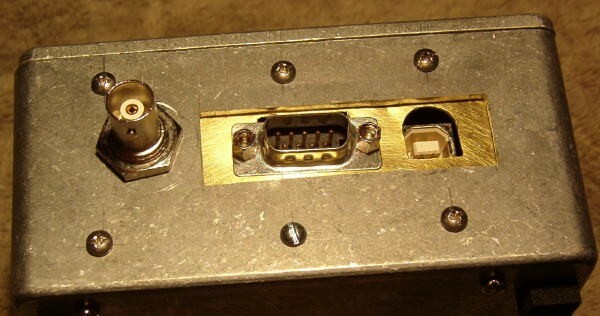 I purchase the hammond box from Digikey for about $12.50. the ATF21186 first preamp stage is too high so will add additional 24-ohm source resistor to see if this improves MDS. coil with a smaller one. LO injection is strong now (guessing 10-15mw). After replacing both preamp stages IC4 and IC1, sensitivity of the converter is now -124 dBm (0.14 uV). Here are some screen shots of Winrad vers. 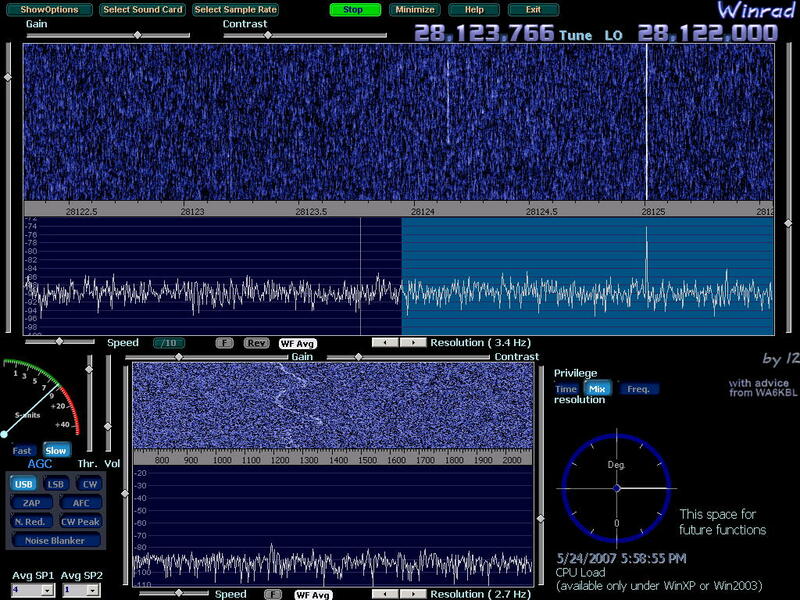 2.4 showing the JT65B signal from WE9Y who runs two 18-element yagis with 1 kW. 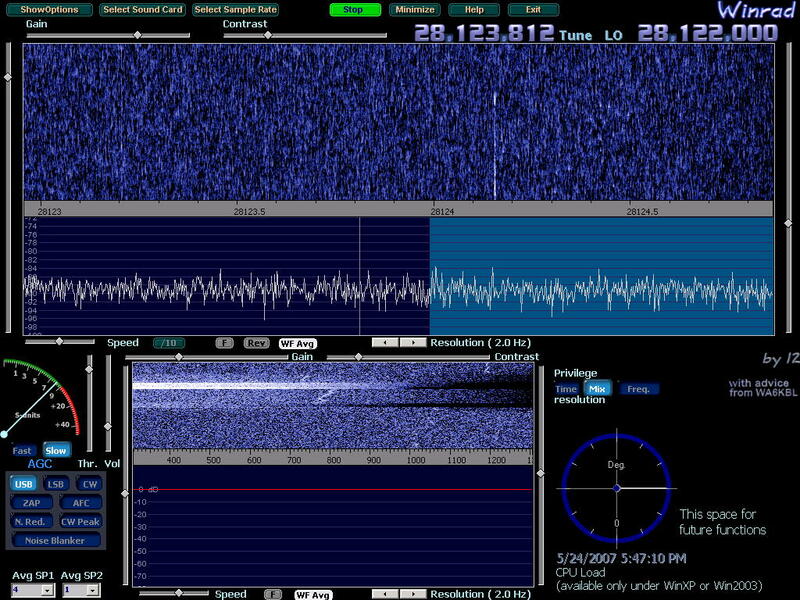 that signals down to -26 or -27 will display well at 50 even 100 KHz spans. should augment random operation of JT65 stations. Here is my power point presentation (3.7 Mb) to Central States VHF Conference (July, 2007). A lot of changes in my station in the six years since first obtaining the SDR-IQ. A new version of Spectravue enables 10-dB more gain so I have eliminated the MAR-6 preamp. as a radiometer and offers an alternate band scope display (panadaptor) for observing the RF spectrum. see the current station block diagram.